Mean Dreams is every adolescent’s worst nightmare. Or maybe it’s horrible scenarios like this that prepare youngsters for the real world, and build character. Or perhaps they just turn them into the same bitter, violent adults they’re trying to escape from, only to perpetuate the circle. In any case, it’s an ugly, somber story, scarred by the harsh realities some teens face on the road to adulthood. It’s ironic in a way that this is Bill Paxton’s last role in cinema, and I wish it weren’t, because he plays an absolute monster. For anyone who’s met him or seen interviews, he was the sweetest dude you could ever hope to meet, and wouldn’t hurt a fly, but he always chose tough scripts that made memorable, challenging films and this is just one more. 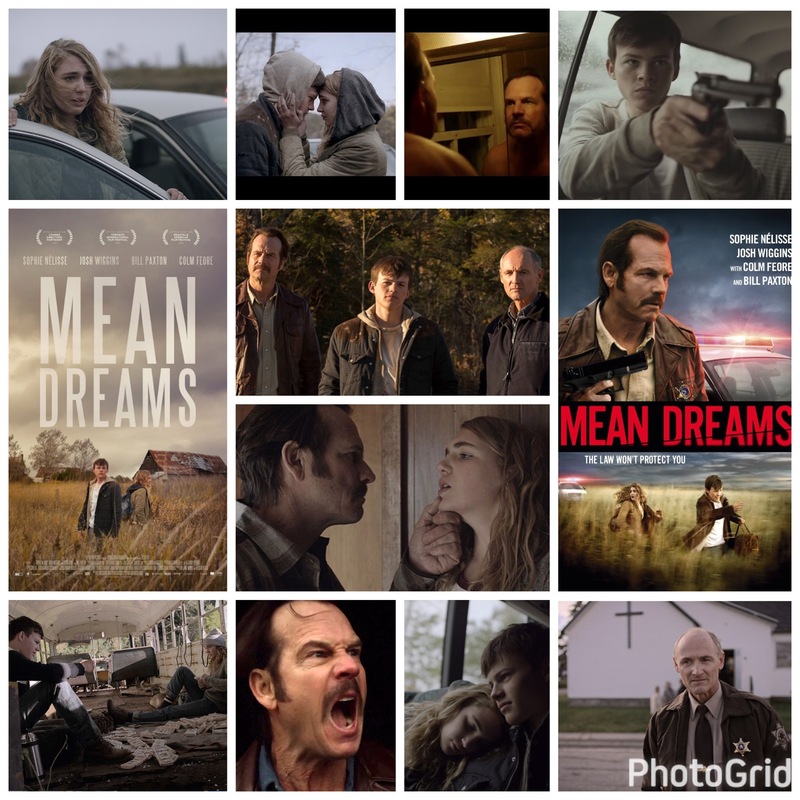 Paxton plays a lawman and single father who moves his daughter (Sophie Nelisse) out to a desolate county, brought to life by stunning, haunted rural Ontario. Once there, she finds her only friend in a local rancher’s son (Josh Wiggins), and it’s not long before romance begins to flourish. Not on Paxton’s watch though, that angry drunk prick. Abusive, dangerous and up to his neck in illegal activities, it’s only a matter of time before he gets one of them, himself, or everyone killed, and Wiggins hatches a plan to get the both of them out of their and on the run to better lives. Trouble is, where do you turn for help in a town whose only police officers are not there to help you? Paxton has a bitter ally in the Police Chief, venomously played by Colm Feore, and the dragnet they lay over the county threatens to ensnare the two teens at every turn. Wiggins and “” are excellent, especially for their age, playing the character development with all the right notes, even when things get tense between the two of them, a facet of their relationship that’s nice to see and brings out shades of maturity in the writing that this type of film begs for. Paxton is scary, tragic, broken and brutal, a soured man who shows occasional flickers of the father he once must have been, and despite the ugliness, it’s some of his best work in a while, particularly during a positively poetic final confrontation. The cinematography from Steve Cosens lingers in the long grass until you can hear the mournful echoes of a region beset by economic despair, a place where danger breeds easily and is always just on the horizon, an uneasy mood also perpetuated by Son Lux’s unconventional score, which finds the spark of first love amidst the strife. Downbeat, but hopeful stuff.